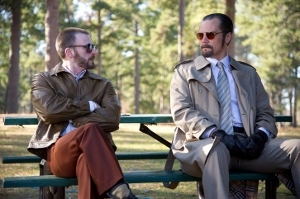 Among the lesser-seen dramas released this summer was a biopic based on the life and career of now-deceased hitman Richard Kuklinski, The Iceman. Director and co-writer Ariel Vromen assembled a great cast—Michael Shannon as Kuklinski, supported by Winona Ryder, Ray Liotta, Chris Evans, David Schwimmer, Stephen Dorff—and crafted a compelling, complex portrait of a hired killer. With The Iceman recently released on Blu-ray and DVD, I had the chance to discuss the film with Vromen. Check out my full interview on The Morton Report, but for now here’s a few extra bits about James Franco and his participation in the film. Cinema Lowdown: James Franco’s role was originally as Mr. Freezy, who ended up being played by Chris Evans. Franco stayed on in what is basically a cameo appearance. What happened? Ariel Vromen: In the end I was very pleased with all the cast members who came aboard. With James, he waited and waited and somehow the timing didn’t work. The reason he came on board [for the smaller role], I think it was a combination of me writing him very begging emails to come and still be a part of it. 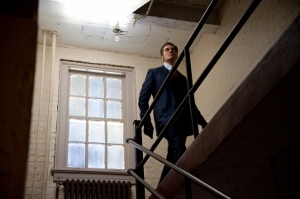 I think he felt guilty, because Michael Shannon acted in a short film [Herbert White] for him for nothing. James had a great experience. Even for the couple of days onset, he enjoyed it a lot. CL: James Franco’s scene, playing a target of Kuklinski’s, was apparently based on a real event where Kuklinski allowed time for his victim to pray to God, just to prove it wouldn’t change anything. Didn’t the real Kuklinski admit this was his most sadistic killing? AV: I don’t know about most sadistic, but it was definitely something he regretted doing. He absolutely said he regretted doing that. Usually Kuklinski’s method was… he didn’t care. Somebody wants someone else dead—he was not the one who questions it. Really he worked like a pure Samurai. And then finally the power trip came out, his evil was starting to mess with him. He thought that maybe he was an immortal person and challenged God on that level. He felt bad about it and I thought that was interesting. For more with Ariel Vromen, be sure to check out my full interview on The Morton Report. 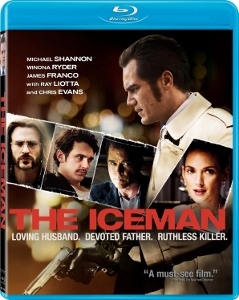 The Iceman is currently available (and worth seeing for Michael Shannon’s performance alone).